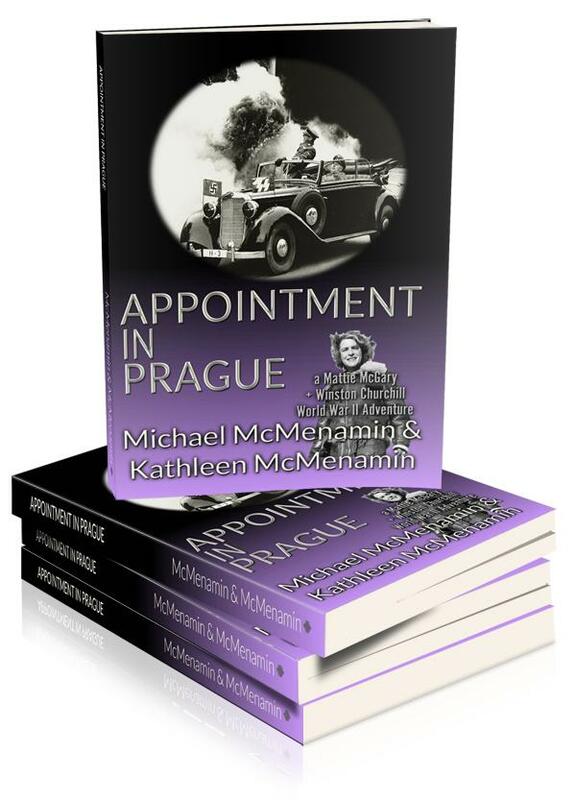 Appointment in Prague – a Mattie McGary + Winston Churchill World War II Adventure, by Michael McMenamin & Kathleen McMenamin, features British secret agent Mattie McGary in her own solo adventure against the Nazi empire in wartime Prague. 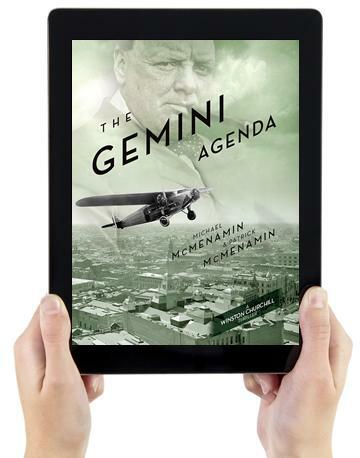 Cleveland, OH, USA — In the novella, Appointment in Prague, one woman, a British secret agent, sets out to single-handedly send to hell the most evil Nazi alive-SS General Reinhard Heydrich, the head of the SD, the intelligence wing of the SS and the architect of “The Final Solution” that will send millions of European Jews to their doom. Winston Churchill in October 1941 authorizes the assassination of Heydrich by the British SOE-the ‘Special Operations Executive’ created by Churchill to ‘set Europe ablaze’. He is unaware that the entire operation has been conceived and is being run by his Scottish goddaughter, the former Pulitzer Prize-winning Hearst photojournalist Mattie McGary who joined the SOE at his suggestion after he became Prime Minister in May 1940. Mattie has a history with Heydrich dating back to 1933 and a personal score to settle. In September 1941, when the man known variously as ‘The Blond Beast’ and ‘The Man With the Iron Heart’-that last coming from Adolf Hitler himself-is appointed Reichsprotektor of Bohemia and Moravia, the remnants left of Czechoslovakia, Mattie decides-now that he is no longer safely within Germany’s borders-that he must die. She persuades her boss at SOE to secure Churchill’s consent. She then recruits and trains several Czech partisans for the task and has them parachuted into Czechoslovakia in December 1941. An increasingly impatient Mattie waits in London for word that her agents have killed the Blond Beast. By May 1942, Heydrich still lives and Mattie is furious. The mother of six-year-old twins, Mattie decides-without telling her godfather or her American husband, the #2 man in the London station of the American OSS-to parachute into Czechoslovakia herself and “light a fire under their timid Czech bums”. Which she does, but her agents botch the job and Heydrich is only wounded in the attempt. The doctors sent from Berlin by Hitler to care for him believe the Man With the Iron Heart will recover. Mattie is determined this won’t happen. On the fly, Mattie conceives a new plan to kill Heydrich herself. With forged papers and other help from the highest-placed SOE asset in Nazi Germany-a one-time lover-Mattie decides to covertly enter Prague’s Bulovka Hospital and finish the job. After that, all she has to do is flee Prague into Germany and from there to neutral Switzerland and home to London. What Mattie doesn’t know is that Walter Schellenberg, Heydrich’s protégé and the head of Foreign Intelligence for the SD, has been watching her every move and has plans to stop her before she can reach Switzerland and safety. 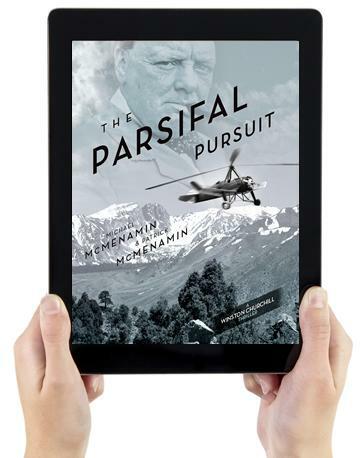 Michael McMenamin is the co-author with his son Patrick of the award-winning 1930s era historical novels featuring Winston Churchill and his fictional Scottish goddaughter, the adventure-seeking Hearst photojournalist Mattie McGary. 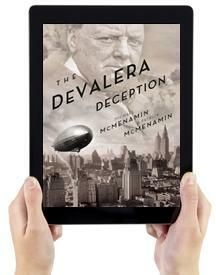 The first five novels in the series-The DeValera Deception, The Parsifal Pursuit, The Gemini Agenda, The Berghof Betrayal and The Silver Mosaic-received a total of 15 literary awards. He is currently at work with his daughter Kathleen McMenamin on the sixth Mattie and Winston historical novel, The Liebold Protocol, to be published in fall 2018. Kathleen, the other half of the father-daughter writing team, has been editing her father’s writing for longer than she cares to remember. She is the co-author with her sister Kelly of the critically acclaimed Organize Your Way: Simple Strategies for Every Personality [Sterling, 2017]. Kathleen is an honors graduate of Sarah Lawrence College with an MFA in Creative Writing from New York University. The ebook version of Appointment in Prague ISBN 9781506906348, published by First Edition Design Publishing (http://www.firsteditiondesignpublishing.com), is available on-line wherever ebooks are sold. The 76 page print book version, ISBN 9781506906331, is published by First Edition Design Publishing and distributed worldwide to online booksellers.